I went to the breakfast again this year. I knew it couldn’t live up to last year, but was hoping it would still be a good time! Luckily it was! I sat at the round table and got a “breakfast” of coffee and a muffin. I mean, it was a good muffin, but they should really have some more food there for the price. Onto the authors! The event was hosted by Octavia Spencer, the wonderful actress from The Help. Her book Randi Rhodes Ninja Detective comes out in October. I have a galley and hope it is good! She talked about how she grew up reading every mystery series she could, starting with Hardy Boys and Nancy Drew. That and her love of kung fu movies is what inspired her book. She thinks diversity is very important in books for children of all ages, which is why she has a very diverse cast of characters. She was entertaining, but I was happy when the other authors took over. Mary Pope Osbourne, author of the Magic Treehouse series, was the first speaker. She talked about how great her readers are. She said that “Nothing is sweeter, funnier, or more authentic than a 7 or 8 year old.” She has met readers in all parts of the country, in all situations and they have one commonality – they love life, have an innate sense of justice and fairness, and they want to helps others. She talked about how we could change the world if everyone was on reading level when they are in third grade. I am not sure about the timing, but higher literary rates would improve things. She also runs the Magic Treehouse Classroom Adventure Program. If you are an educator of 1st-3rd graders, I recommend you check it out. It has guides for lessons and lots of materials. She also gives grants to Title 1 schools so they can get her books. Last year, every third grader in the entire city of Newark got 28 of her books. I love this program and it made me love her even more. If your school district has Title 1 schools, I hope you contact a teacher you know to let them know about this program! Rick Riordan was next. I adore his series and was really hoping that he was a nice guy. He isn’t just nice, he is also hilarious. He used to be a middle school teacher, so I am not surprised he is so successful. I don’t think anyone knows that age group better than the teachers. Percy Jackson started out as a bedtime story. As he was writing he would read it to his students His goal was for the kids to be interested even in fifth period after lunch. He talked about what he hears from students and his speech was so entertaining. He even made a joke about our lame breakfasts, which everyone in the room appreciated. I love learning that authors are good people in addition to good writers, and it makes me like him so much more…and reminds me I need to get on to catching up on his series. Veronica Roth, author of Divergent and Insurgent was last. She talked about how she gave up on reading in high school because she was ashamed of the books she liked. People made fun of the excitement for books, and she went away from it. In college, she found her love of reading again and learned to read like someone who is eager to learn. She also talked about learning to deal with critiques and found out that is how you become a better writer. She was very humble about mistakes she has made and her speech was all about humility. It was nice, but didn’t have as much to say as I was hoping. Overall, the breakfast was a good time. I knew it wouldn’t be as great as last year (I don’t know if anything will top that), but it was still a very nic eevent and I hope I can attend again next year! I am sure we are already all exhausted from BEA but today is my big day full of things I want to do. I have lots of must-see but I am sure I won’t make them all. I am starting out the day at the Children’s Author Breakfast. Super excited to see Rick Riordan, Veronica Roth, and Mary Pope Osbourne. I hope to post all about it over the weekend. It was the highlight of BEA last year! A Young Adult Supernatural Fiction Novel-A bloodcurdling, mind-bending, heart-stopping ride. 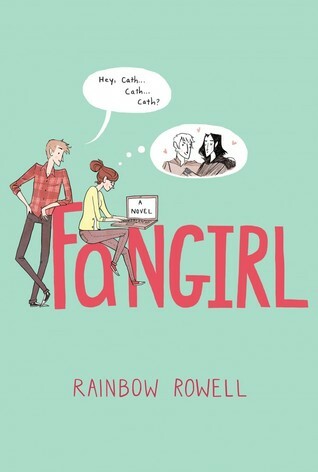 Then at 10, I am going to the Meet the BEA Young Adult Buzz Authors with Rainbow Rowell, Anna Jarzab, Cristin Terrill, Amy Rose Capetta, Sara Farizan. Then I am going to head over to the HMH booth and get in line to meet the author of my favorite book of the year, The Testing. There are two other signings around then, that I am interested in, but that is my priority. Join New York Times bestselling authors Brandon Mull (Spirit Animals), Gordon Korman (The Hypnotists) and debut UK novelist Cathryn Constable (The Wolf Princess) as they discuss creating fantastical action and adventures series for middle grade readers. Then I have a break to find something decent and not super expensive to eat. Then at 3, I am really excited for the Realistic Fiction – The next hot genre in Young Adult panel with Robyn Schneider, Katie Cotugno, Corey Ann Haydu, Suzanne Young and Cat Patrick. That evening, i am heading to the BEA Book Blogger picnic! Can’t wait to see/meet everyone! Then I come home and sleep almost all day Saturday, because I am not coming in for Saturday at all. I thought I would share my plan for each day. If you see me, say hello! Thanks to my current job, this is going to be a very children’s-centric BEA. I hope to check out some adult books too, but my main focus will be on that demographic. Wednesday is my lightest day. I will be heading to Javits early to take care of getting my badge and tickets. I am not going to the Bloggers Conference, but hope I am there early enough to say hi to people! At 9:30 I am going to the New Insights & Trends in the 2013 Children’s Market. That’s it! I have a really busy day at work tomorrow, so I can’t go to anything else. I hope people are live tweeting the Bloggers Conference. I also hope it is better than last year and no one says that Klout matters. WIth BEA less than a month away (YAY!) i wanted to do a few posts about it! 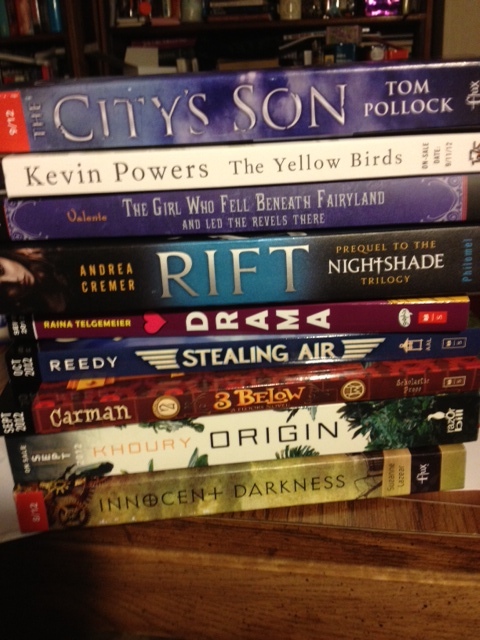 This first one will focus on the galleys that will be available through giveaways or signings. I only am going to talk about books i have heard good things about from other bloggers or friends or books that I have read already. I am going to break it down by age. 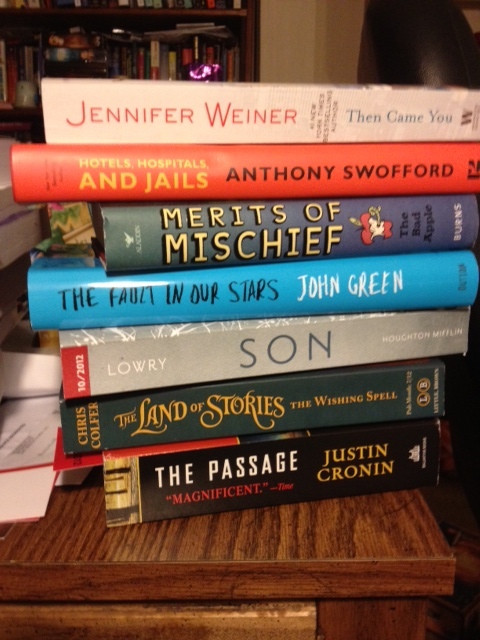 Adult books – there aren’t as many of these because a lot of the galleys are from major authors that I don’t read. I am sure there will be a lot of great literary fiction, but I will be looking for recommendations on other blogs for those. 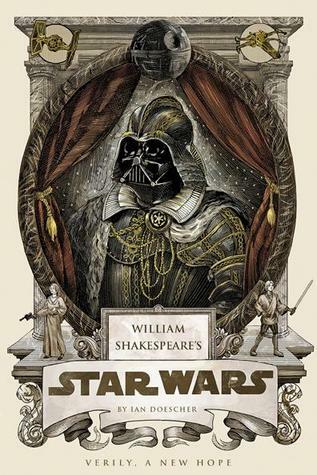 I haven’t read this yet, but Star Wars + Shakespeare = must read. Also, May the Fourth be with you! This is from Quirk Books who are totally awesome. This is from the author of Special Topics in Calamity Physics, which I read shortly before starting this blog and lobe. 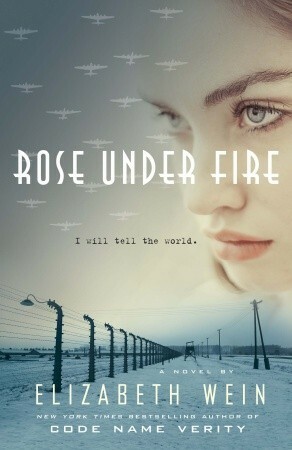 This one is more of a thriller that I have herd wonderful things about. It will most likely go very fast. I adored Attachments and have her YA book sitting on my coffee table, so I am really excited about this New Adult title. Young Adult – lots of great stuff. Both of these books will be a BEA and I cannot wait for others to read it. 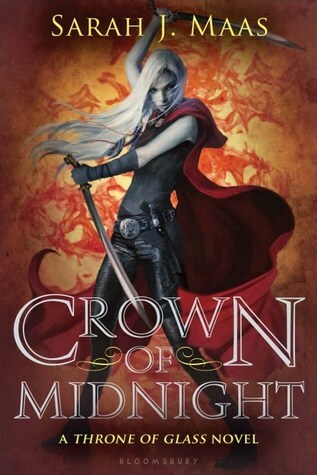 I am in love with this series. 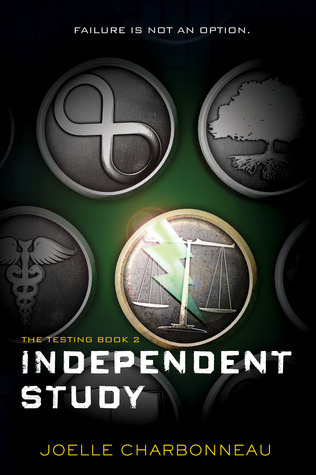 it is the best dystopian series I have read in years. You all know how much I love Legend, but this is better. I even moved around my BEA schedule to meet this author. I only read the first fifty pages of this, but it has Holmes’ niece and a Stoker Chosen One in steampunk London/ If these things sounds appealing, get it. This is a companion to Code Name Verity (which i still have to read). 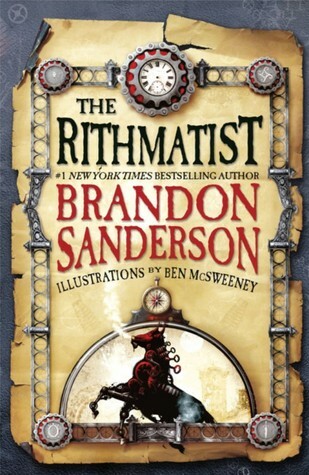 The first YA book byt the amazing Sanderson. If it isn’t ticketed, it will go fast, but from what I have heard, it is worth the wait. 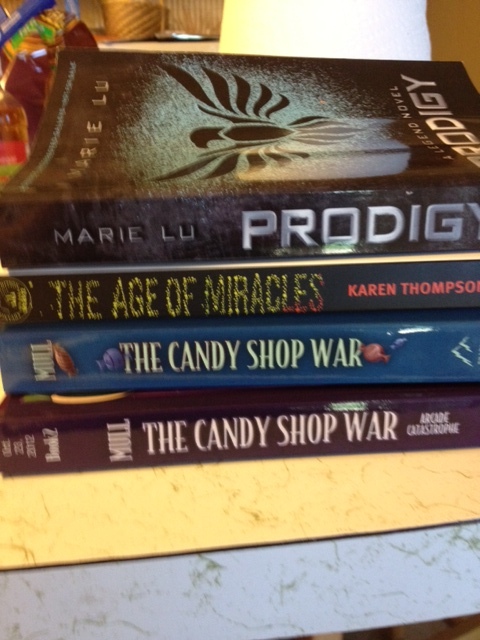 Middle grade – Middle grade is where it is at this fall. There are so many great titles. This is a really great adventure novel with two great cats in the center. Great book for anyone who loves cats, fun stories, and the idea of the sea. Nail Gaiman has a new book for kids and it is wonderful. It is hilarious and creative in a way that only Gaiman can do. This is a must-get if you can find it. If you are a love of adventure and pirates, this is a great book. 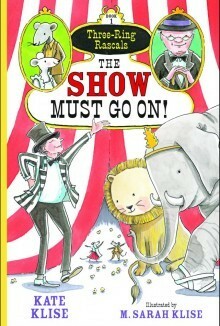 It has a great main character and a lot of humor. 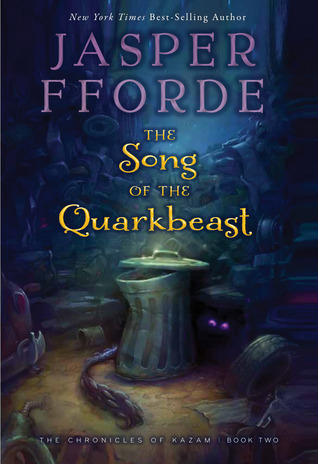 This is a fun book that middle grade readers will really enjoy. This is the sequel to the The Last Dragonslayer and should be as fun and entertaining as the first. 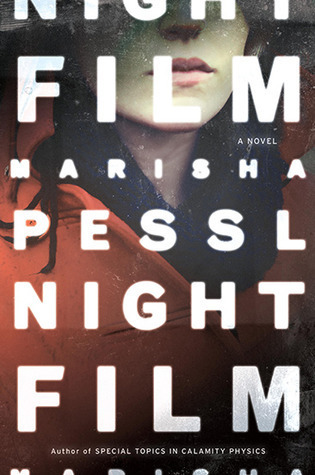 This debut mystery is one of the most imaginative books i have read this year. It has great characters, a fun mystery, and twists and turns that are hard to predict. This might not be one everyone is grabbing, but if you are a middle grade reviewer, it is one you need to get. What galleys are you grabbing at BEA? 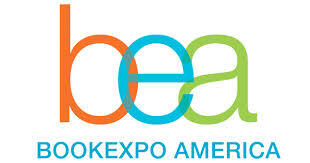 We are just a few days away from BEA and I don’t know about you, but I am excited! I thought I would talk a little about my plans and see if anyone wants to make more! BEA Blogger Convention! Really excited about it since I have not been able to go the past couple years. Hoping to learn some and meet a lot of people! There are so awesome authors there and I am hoping to talk to some of them. In the afternoon I will be heading to Critical Reviews (cause I don’t want ot make $ off of my blogging) and Demystifying the Book Blogger & Publisher Relationship because I should look at it from both sides. Yay to helping career AND blog in one! This is my one full day at BEA so I will be busy! The Apocalypsies: Meet the Authors of 2012’s Must-Reads! When I am not at this great stuff I will be going around to all the booths I want to see! Afterwards, I MAY go to the Teen Author Carnival…but I know that can get crazy, so I am just penciling that in. I am going to the CHildren’s Author Breakfast! I am SO excited about it because uh Chris Colfer (I am such a Gleek and adore him), John freaking Green! !, Lois Lowry!! I wish I had gotten the VIP tickets, but the sold out. But I still get breakfast and to see them! Woohoo! Then I will be back for my lunch break, since I have to work. I may take it late to see Libba Bray, since she is awesome. Please join us for an evening of science fiction, fantasy, and music, hosted by Lev Grossman! With readings from: Kristin Cashore N.K. Jemisen Naomi Novik Catherynne M. Valente And book-specific improvisational music by Brian Slattery! This is a free event. When will I be seeing you? Know of anything else fun going on? Let me know in the comments!